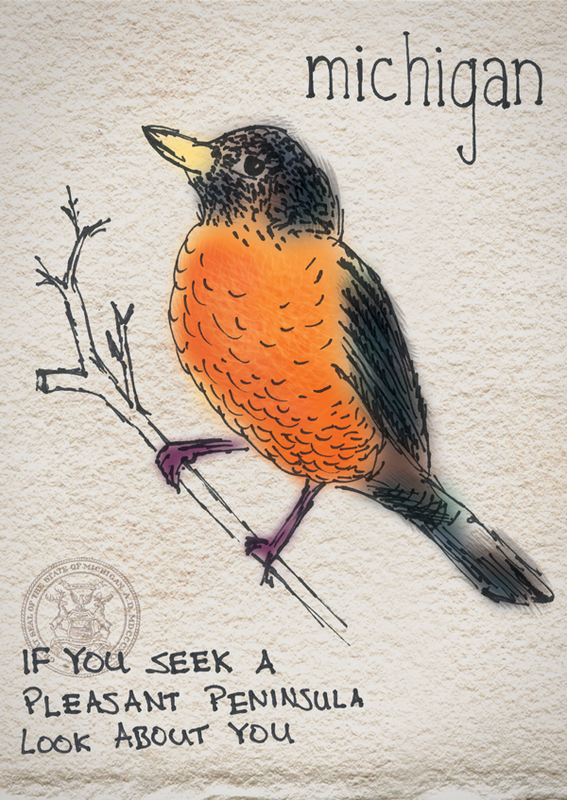 I love personalizing letters and notes with illustrations and hand rendered text. The idea behind this post card was to personify the state of Michigan, and imagine what receiving a hand-drawn note from the state would be like. 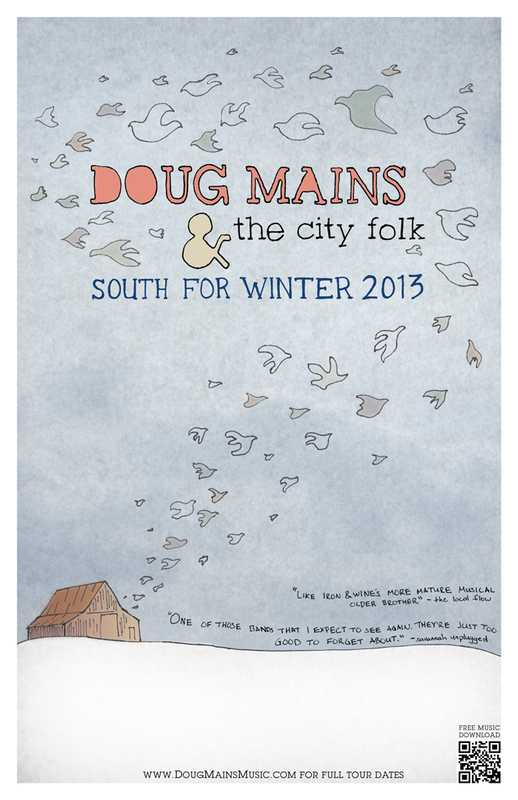 This poster carries the design and motif I established for the entire winter tour of Doug Mains & the City Folk. 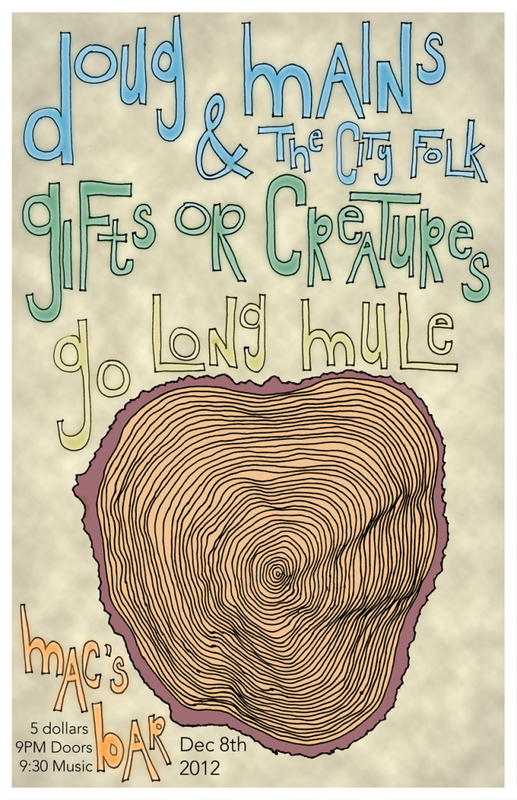 A promotional poster for a show at Mac’s Bar featuring Doug Mains & the City Folk, Gifts or Creatures, and Go Long Mule.